I am looking for a gray elephant that plays the tune of Talk with the Animals and moves its neck. 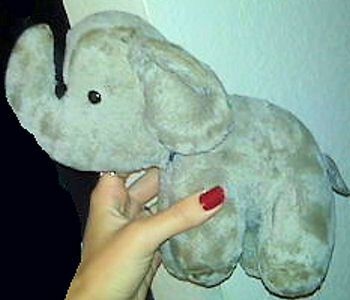 It was bought in Vegas in 1985, and is my boyfriend’s elephant from his incubator when he was a premature baby. I know he really wants a new one one day for our children. They had some that wind up, musical and moves. I did look on ebay for them, and its not the elephant, but I think it is the same brand, so thank you so much I am going to look more for that brand!